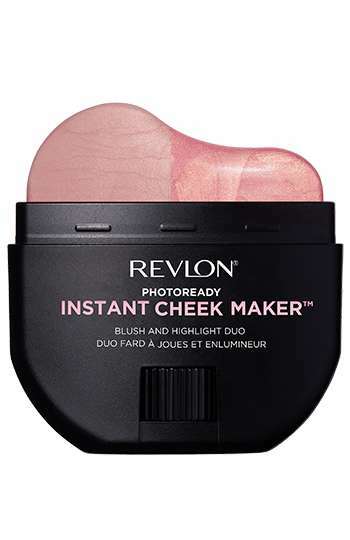 With is sculpted form, Revlon’s Photoready Instant Cheek Maker helps to apply blush and highlighter with a single swipe. Thanks to the unique shape of the on-the-go makeup packaging, no brushes, sponges or other applicators are needed to apply either cosmetic product, although the products can be blended as desired. The products themselves are said to have creamy formulas that glide across the skin to create flawlessly sculpted looks. The Photoready Instant Cheek Maker is available in three shades that add healthy, glowing wash of color to the cheeks. As many consumers are turning to easy-to-apply cosmetics in mess-free stick formats, this multitasking product has the potential to seamlessly fit into the lives of those who wish to simplify the number of steps in their beauty routine.